Technics SL-1200MK5 Silver Turntable DJParts - All Variety of Parts that DJ Needs. Yes, we've got it!!! The new SL-1200MK5 Turntable features all the SL-1200M3D amazing features and specifications plus a new and improved white LED in the pop-up light instead of the original incandescent bulb of the M3Ds. Not only is this light brighter, but it will outlast any pop-up light bulb you may have had in the past. 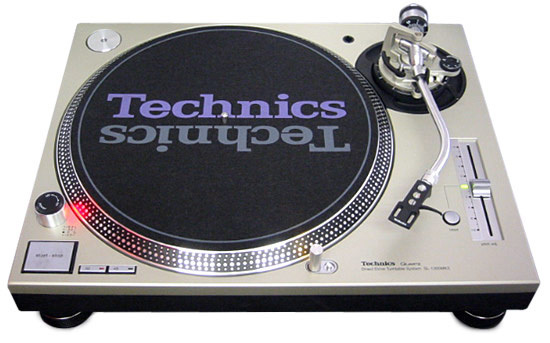 The Technics 1200 turntable is still our #1 recommendation, in any model number. The feel and durability are unmatched. It remains the best turntable available, and one that is used in 99% of all venues. Some newer turntables may have more features, but this is the superior overall product, and is the preferred choice for all types of djing. The high torque (motor strength), accurate pitch (speed control), quality tone arm (aids in skip resistance), and superior sound are the standards by which all other turntables are judged. The body and major components are made of steel (whereas most other turntables are made of plastic). The bottom of the body is made of a dense rubber that eliminates distortion and feedback and adds extra weight for stability. Most of the basic parts are readily available and user replaceable. The resale value is also very high.